For the smoothest "Tripp" your piano will ever have! We are your one stop for all piano moving needs. We use air ride trucks to transport pianos, and antiques. Our highly trained staff takes the worry out of your shipping needs. With over 20 years of experience, we do it right the first time, every time! Whether you're moving your piano down the street or across the nation we make it a stress free move. Most pianos are moved within a one to two week period. 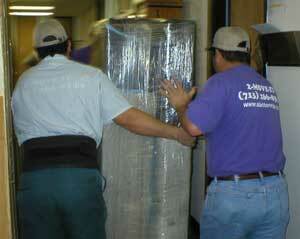 Why Choose Professional Piano Movers? Pianos are a major investment, attempting to move one alone is physically unsafe and could turn out to be a financial set back. Unlike normal furniture, pianos need special attention during the moving process due to their delicate wood frame, parts and sensitive tuning. It only takes a small drop of the piano for possible damage to occur. 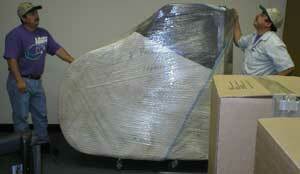 Using a professional piano moving company is the best solution for you. Professional movers know how to prepare a piano to be moved and loaded properly, and once loaded safely transport the piano to its new location in a safe and time efficient manner. We move all types and brands of pianos including; Full Grand Pianos, Player Pianos, Baby Grands, Spinet, Organs, Square Grand and Upright Pianos, Steinway, Bluthner, Bohemia, Baldwin, Sauter, Pleyel, Petrof, Chickering, Chippendale, Ellingon, Wurlitzer, and Rosenkranz Goldene. A Better Tripp Moving & Storage is a Texas moving company specializing in local Houston moving services, interstate moving, small moves moving pianos and antiques, and corporate relocation. Why Use A Piano Mover? Search engine optimization: SeOpt, Inc.